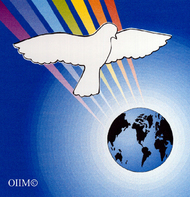 The Open International Interfaith Ministry is a division of the Prince Edward Island Interfaith Ministry, and was created in 2002 to enable the PEI Interfaith Ministry to work without the limitations of geography. The Prince Edward Island Interfaith Ministry is a member unit of the international Council of Community Churches which is affiliated with the World Council of Churches and the United Nations. Our Ministry is inclusive, celebrating all religious traditions and diverse approaches to spirituality and understanding God. When we look at the beautiful, diverse world that God has created for us to live in, it is clear to us that God is a God of diversity. There is not just one type of tree, or one type of bird, or one type of flower, or one type of person. The world is populated with a multitude of forms which are trees, and birds, and flowers, and people in all shapes, sizes, and colour. This diversity makes the world more beautiful. If we believe that God is infinite, then one place to begin to understand God is to embrace the knowledge that in this diverse and beautiful world created by God, it is only natural that God should manifest the message of unconditional love in many ways to many peoples. There is one God, but it is a God of many faces. 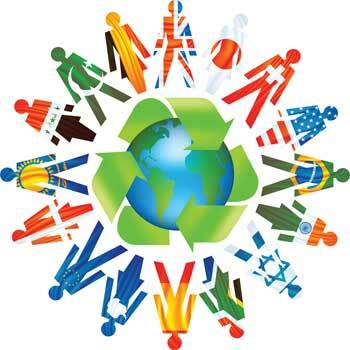 We in the interfaith ministry celebrate these many faces of God represented by different religious traditions and rejoice that we have been given such a beautiful and diverse world. We express this truth with the phrase, "The paths are many, the truth is one. Love thy neighbour." 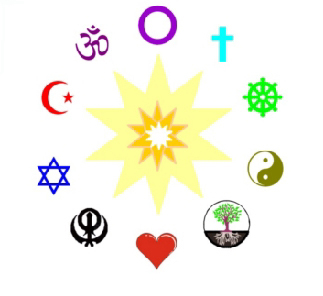 There are a number of common denominators which unite us in the Interfaith Ministry. 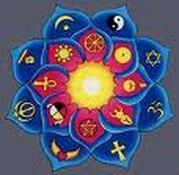 One is our desire to eliminate intolerance and prejudice in spiritual practice. Another is our readiness to testify to the reality of the Spiritual world and of the subtle faculties of psychic and Spiritual vision through which it may be perceived. Our activities help people find their own personal understanding and proofs as to the reality and nature of Spirit and the Spirit world.